Watching Saturday morning cartoons in your pyjamas, eating a bowl of Froot Loops. Between shows, every now and again, a little public service announcement, "The More You Know", would come on in the hopes of teaching you a life lesson. Well, Yours Truly is about to go all PSA-y on you. When being introduced to someone for the first time, it's important to listen carefully to the name of those being introduced to you. “Hi, I'm Jenny. Nice to meet you!" "Hey Jen, great to meet you!" My husband and I went to a function several weeks ago. We had a great time and a lot of laughs, until someone called me ‘Jen’. 112 TIMES. Yeah, that was super awesome. Not as awesome as being called Janet, but I'm giving that one a pass as the gentleman was quite inebriated. I'm not sure he even knew where he was - or who he was for that matter. Now I don’t want to get all hell-bent about it or go off on this crazy tangent, but I am so funny with names, especially my own. You see, Jenny, Jen, and Jennifer are 3 completely different people to me. I don't know why, they just are. I'm not a Jen, nor have I ever been, and I was Jennifer for like 20 minutes, 30 some years ago. I know not everyone feels the same way; I have friends that are quite comfortable with different forms of their names, I'm just not one of them. Let's take some celebrities for instance. Kate Middleton. She is not a Katie or a Kath or even a Kathy, is she? She's a Kate. Same with Victoria Beckham. Good Lord, Vicky Beckham? Somehow, I don't think so. Christina Aguilera as a Chrissy? Uh, no. I know the blame lies on me and I should correct people when they say it, especially when I know it will make me cringe the more they do, but I don't like making people feel bad or uncomfortable. It's a put-up or shut-up scenario with me every time. And most of the time, I just keep my gob shut. Moral of the story: If someone introduces you to someone else, you should call them by the name they were introduced as - unless that person corrects you otherwise. 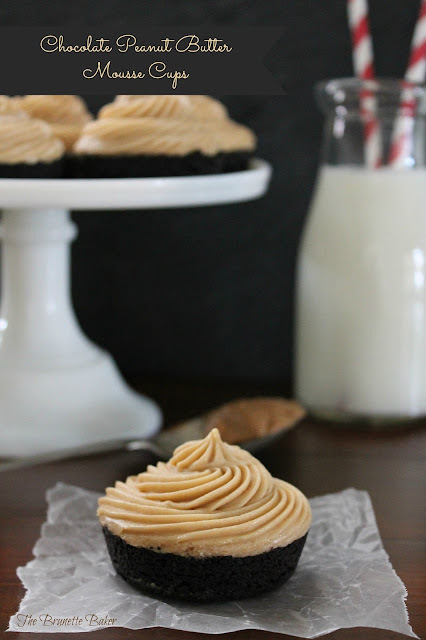 And if someone offers you one of these chocolate peanut butter mousse cups, you should definitely take it. Preheat oven to 350ºF. 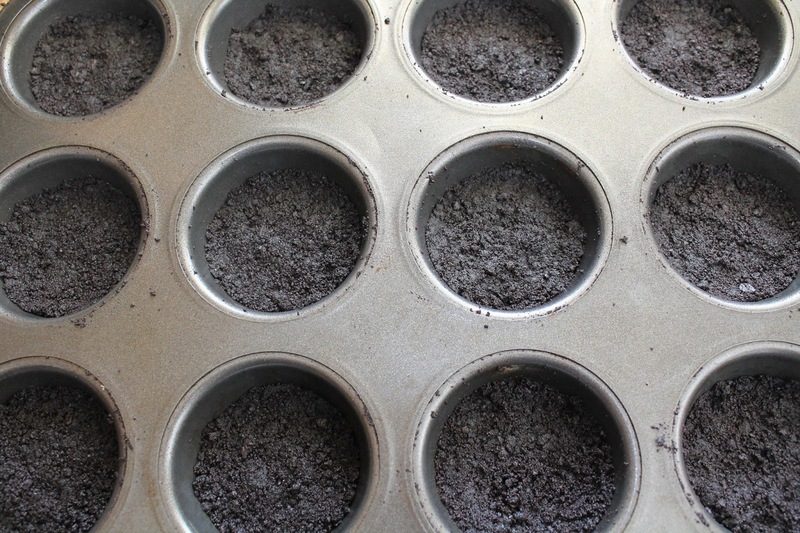 Prepare a 12-cup muffin tin by spraying with non-stick cooking spray; set aside. In a mixing bowl, combine cookie crumbs and melted butter with a fork until it comes together. Divide cookie crumbs into prepared muffin tin. You only need to cover the bottoms of tin, not the sides. Bake for 10 minutes. 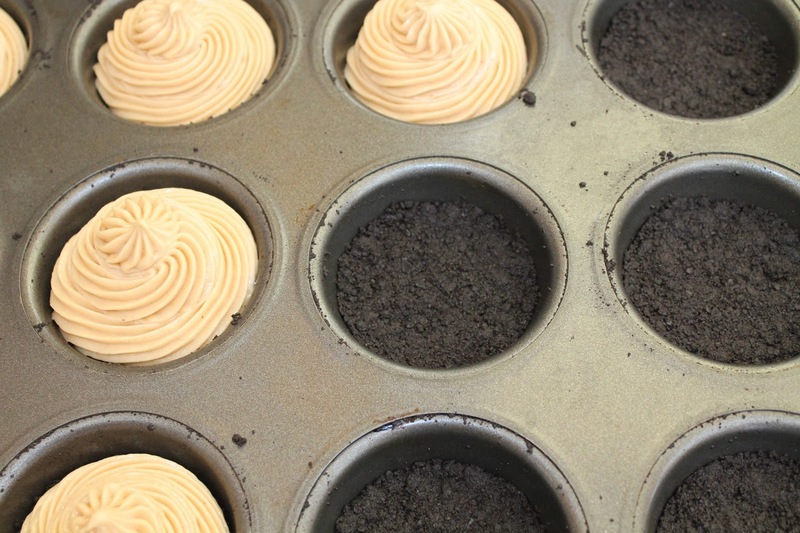 Allow cookie cups to completely cool in tin. Please note that you'll leave cups in the tin up until you're ready to serve. 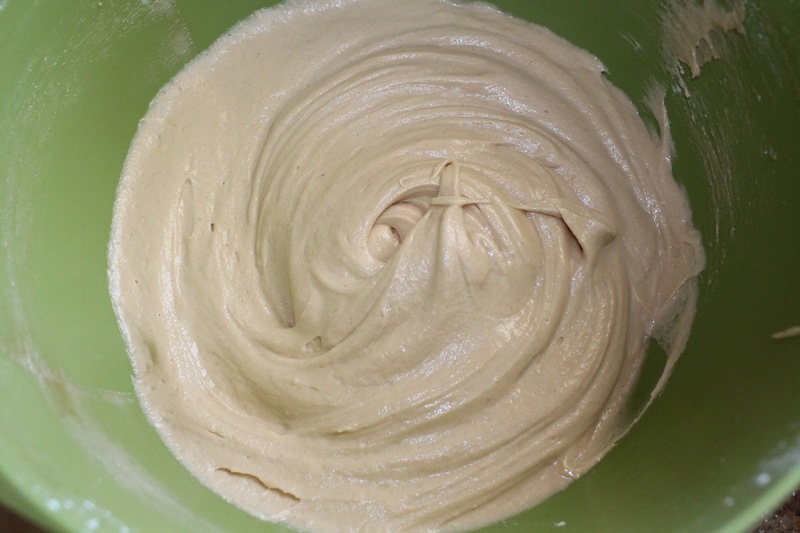 In a medium mixing bowl, beat together peanut butter and cream cheese until smooth. Add in powdered sugar and ¼ cup of heavy cream. Whip the remaining heavy cream until it resembles a soft whipped cream. 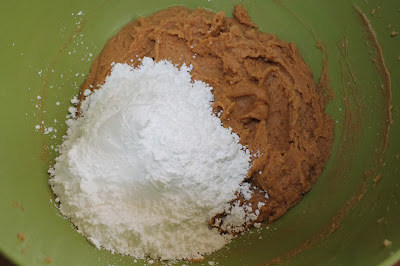 Fold the whipped cream into peanut butter mixture. Once folded, add in vanilla extract and fold in until incorporated. Fill a piping bag with peanut butter mixture. Because there is no rhyme or reason to these cups, you can use any tip you wish. Pipe filling onto cooled cookie cups and keep in refrigerator until ready to serve. Use a knife or a skewer to remove cups from tin. Store in refrigerator until ready to serve. These will keep 3 days. I'm weird about names too (although as far as my name goes the problem is usually them hearing me wrong and calling me "Kayla" "Katie" "Haylee" or some other such thing)--mostly it drives me crazy when people call my boyfriend Michael, Mike. He is SO not a Mike. I know Mikes. He is not one. He doesn't care what people call him (and *cringe* sometimes he'll even introduce himself as Mike!) but his mom and I agree-he is a Michael. And you are a Jenny. Anyway. Let's talk sweets. Um chocolate pb mousse cups...FORREAL? YUM. So good. holy cow...these look amazing. I could eat about 10 right now! HAHAHA! Love this post....I'm a Jenn...and a Jenn J at that :) These mousse cups look amazing too. These mousse cups look wonderful! Pinned :) Thanks for sharing on Two Cup Tuesday at Pint Sized Baker! Hahah, that's hilarious. Sorry, JENNY! These look amazing by the way. Yum Yum Yum!!!! These look delish! I can't see how I missed these?!? As for the names, I ALWAYS get DIANE. My name is DIANA. I don't mind so much, but I never was or have ever been DIANE. I have a friend that calls me Princess . I like that. ;) And I usually remind people when they ask me again, "Is it Diane or Diannnuuuuhh?" I said, "Diana. Like the Princess" Much easier to remember it that way, don'tcha think?